A patent has recently been filed by L’Oreal, entitled “Compositions and Methods for Treating Hair”. The goals of many hair styling compositions are to hold or fix the hair in a particular shape, to impart or increase volume of the hair, and to smooth the hair, e.g. to decrease or eliminate the appearance of frizz. Drawbacks associated with current products for styling the hair include that the product is often sticky or tacky or produces a film that imparts a sticky feel, and styled hair that is stiff or crunchy (i.e. the film is hard and brittle resulting in a crunching feel or sound when the hair is touched), which is undesirable for most consumers. It has now been discovered that by providing a composition comprising at least two latex polymers (one of which being a film-forming polymer), it is possible to form a film on a substrate that has desirable properties, such as a clean, natural, or “invisible” feel, and a lack of stickiness. Such compositions may be useful in hair-styling applications where styling benefits such as natural look, curling or straightening, and styling hold are imparted to hair. 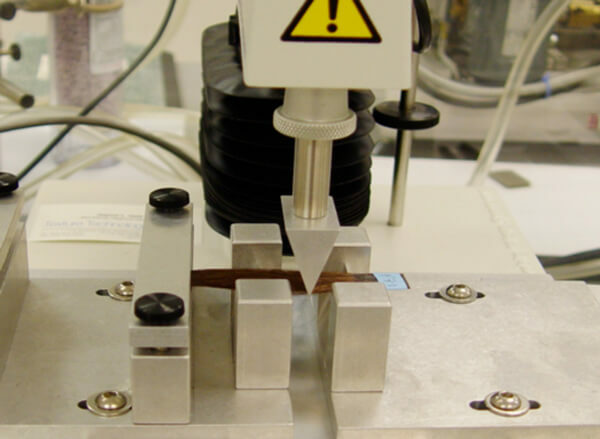 The researchers used their TA.XTplus Texture Analyser to perform mechanical tests on hair samples, cycling three point bend hair tress specimens to a given deformation and calculating the change in bending force from cycle number one to cycle number ten. Scientists at Shanghai Shuishi Cosmetics Ltd have recently filed a patent that relates to a peelable cosmetic composition that is particularly useful as a nail cosmetic. Cosmetics are widely used by individuals to modify or enhance their appearance, for example in response to trends in fashion or as expressions of personality. Many varieties of cosmetics are known, with some of the most widely used cosmetics being those which alter the appearance of the nails. Of these, formulations known colloquially as nail “varnishes” or “polishes” are particularly popular due to the wide range of colours and finishes which are available. The market for nail varnishes is a global one, with annual global sales in excess of one billion US dollars. Nail varnishes typically comprise film-forming polymers dissolved in organic solvents. However, such films are often brittle in nature and thus, in order to provide a degree of flexibility and thereby prevent the varnish from cracking on the nail, plasticisers are usually added. Adhesive polymers are also commonly included in nail varnish formulations in order to promote adhesion of the varnish to the keratin surface of the nail. Other common additives include toluene and formaldehyde (typically in aqueous solution). Due to the presence of such compounds, nail varnishes have been considered as toxic to humans, and in some jurisdictions are classed as hazardous materials, the storage and disposal of which is controlled. The application and removal of conventional nail varnishes also poses problems. These solvent-based varnishes are slow to dry once applied and typically take between 10 minutes and 1 hour to harden sufficiently to avoid smudging, smearing or transfer to other surfaces. The solvents present in such products typically have strong odours making application in confined or public places inconvenient. Once applied, conventional solvent-based varnishes require removal by solubilisation in appropriate organic solvents. The most common solvent for use in nail varnish removal is acetone, but the sensation of acetone evaporation on the skin is unpleasant and repeated exposure of the skin to acetone may cause dryness or cracking. Alternative solvents such as ethyl acetate have been proposed, but in common with acetone, these solvents have strong odours rendering them unsuitable for application in enclosed spaces. At high exposure levels, ethyl acetate may cause irritation by inhalation. These concerns have led to a need to identify nail varnish formulations which are non-toxic and non-hazardous and which can be used without fear of damage to health. There is also a need for varnishes which are fast-drying, and which can be easily removed. A number of water-based nail varnish formulations are available on the market. Whilst these are typically not as toxic as conventional solvent-based varnishes, they usually require the application of specific removal solutions (“removers”) in order to be removed. These removers often comprise alcohols and often also surfactants in order to dissolve the varnish from the surface of the nail, and application of the removal solution can be inconvenient. Furthermore, if the varnish is allowed to remain on the nail for an extended period, it can be difficult to remove, in which case it can be necessary to allow the nail to grow to an extent that the portion of the nail coated with the varnish may be safely removed. It may take several weeks for this to be achieved. Using their TA.XTplus Texture Analyser, the test team were able to measure properties of the nail varnish such as elongation factor and tensile strength to study the effects of their compositions on changing physical properties. 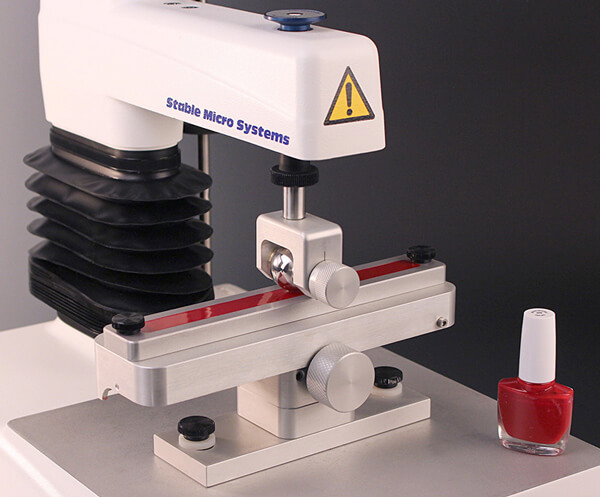 Other suitable but more recently available methods for assessing nail polish include the Nail Polish Adhesion Rig. 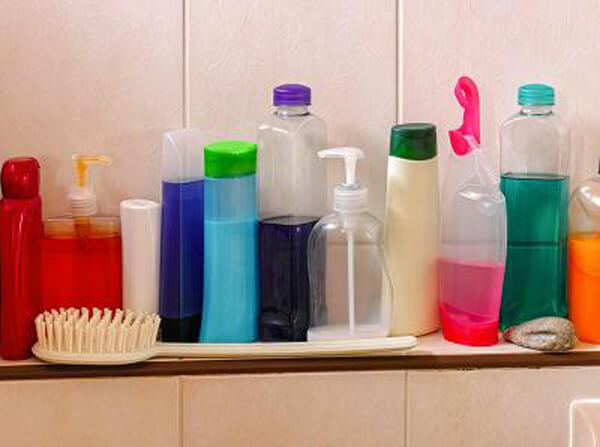 According to a recently published article in COSSMA, texture is one of the crucial factors consumers rely on to determine the quality of a product, particularly in personal care. A product’s major point of differentiation is its texture and its sensorial effects, but this is most of the time a subconscious assessment. For example, if you think of the last time you sampled a new product, you will remember smelling it first and then applying a small bit. Without even noticing, you will be making sensory assessments about how much you like or dislike the product’s fragrance, pick-up, immediate texture, play time, rub out and after-feel. Similarly, another article, ‘The Pleasure of Texture in Cosmetics’, presents today’s most striking trends in textures and explains how consumers will influence textures for cosmetics and gives an outlook on the future of cosmetic textures. 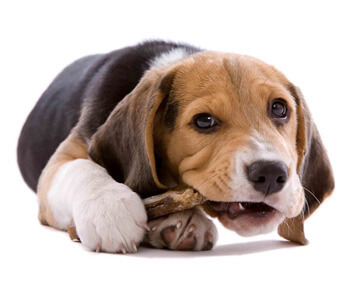 A patent has recently been filed by Mars, Inc., entitled “Edible Animal Chew”. The maintenance of oral health in animals, such as dogs and cats, is important to maintain overall health. A critical aspect of oral health maintenance is the regular removal of plaque; without regular removal, plaque accumulates over time on the animal's teeth and is associated with the production of caries and the presence of gingivitis, amongst other problems. The edible chew of the present invention has a unique texture that contributes to maintaining the animal's oral health. In particular, they are particularly effective at cleaning the teeth, even when fed to the animal only twice a week. This facilitates maintenance of the oral health of the animal without having to adhere to a daily treatment regime. It also lowers the calorie intake associated with maintaining oral health. The researchers used their TA.HD Texture Analyser to perform rebound measurements on their samples with a flat-ended conical probe in a load-unload test. The force upon withdrawal was found to be positive, and the energy under this portion of the curve is indicative of the tendency of the sample to re-heal and close up the hole created by the probe. Kao USA have recently released a patent entitled ‘Leave-in hair treatment composition’. These leave-in hair treatment compositions deliver organic acids to the inside of hair fibres, providing cumulative benefits to the hair with each use: ease of stylability, increased volume and longer-lasting style. The leave-in hair treatment compositions use a combination of citric acid, succinic acid and film-forming polymers to provide these benefits. 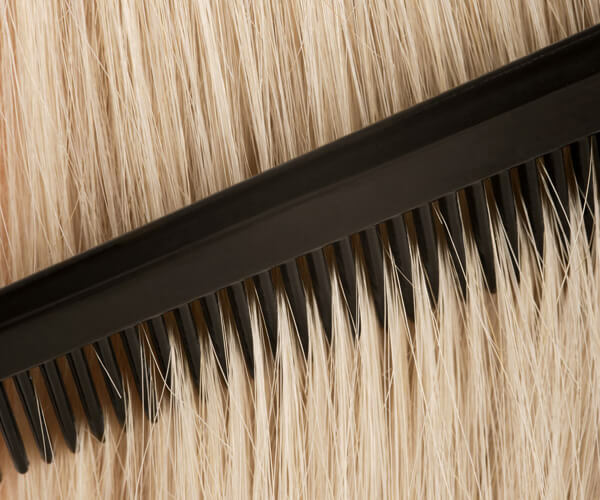 They used their TA.XTplus Texture Analyser to perform three point bend testing on treated and control hair fibres, as well as cyclical bend tests on hair tresses. A patent entitled “Compositions and methods for dual-texture bubble bits” has recently been published by the Coca-Cola Company. This provides compositions and methods for making dual-texture bubble bits that are shelf-stable in ready-to-drink beverages, and provide a bursting and chewy mouth-feel sensation. They outline a method using their Texture Analyser TA.XTplus to compress the samples, correlating the force to a specified strain with hardness.